The H R Company is a Durban based, human resources outsource consultancy, operational since 1999. We manage the human resources functions that companies do not have time, inclination, knowledge or budget to do in-house. It is our goal to allow our clients to understand and embrace changes which affect their human resources environment, with a view to enhancing the progress and success of our client's businesses. It is our aim to help our clients to achieve a well run, legislatively compliant, human resources environment where employees and employers are respected and treated with dignity. The HR Company is a member of SAQA recognised professional body ASDSA. 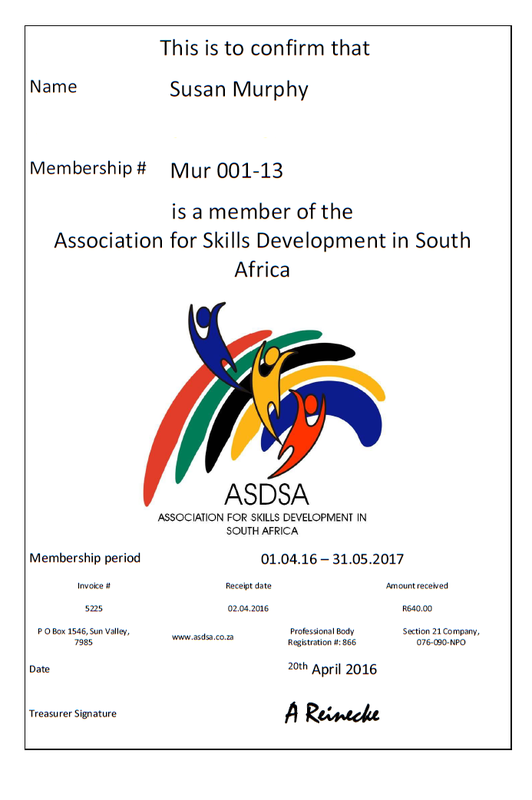 www.asdsa.org.za (membership no Mur 001-13). 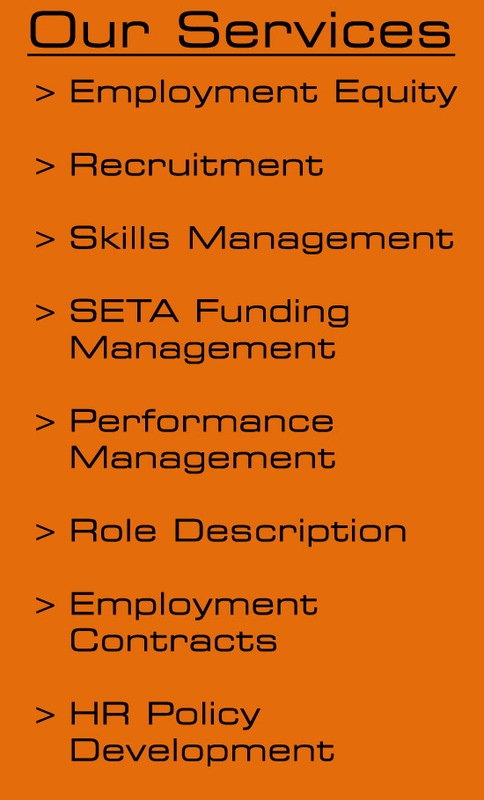 The Association for Skills Development in South Africa (ASDSA) endeavours to further the aims of the National Skills Development legislation and other human capital development strategies through the participation of skills development practitioners (SDPs) and skills development administrators (SDAs) in education, training and development initiatives. The Association lobbies Government, the SETAs and other authorities on behalf of its members and is developing a range of recognised skills development practitioner and skills development administrator qualifications and continuing professional development programmes.